Under $2.25 per serving. A dinner idea that's ready in less than 30 minutes! 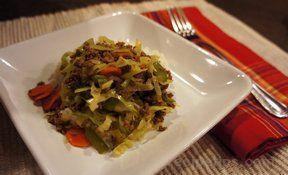 Serve this stir-fry over rice or Asian noodles. 1. Mix Gravy Mix, water and pepper in medium bowl. Set aside. 2. Heat oil in large skillet on medium-high heat. 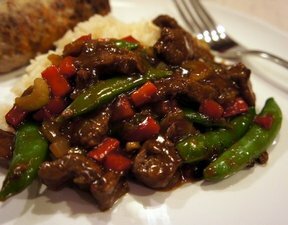 Add beef; cook and stir 3 to 4 minutes. 3. Stir in broccoli and gravy mixture. Bring to boil. 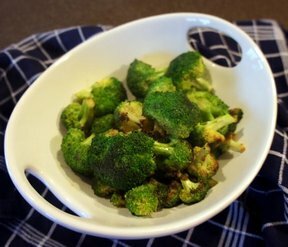 Reduce heat to low; cover and simmer 5 to 8 minutes or until broccoli is tender-crisp. Serve over cooked rice or noodles.Variation: Add 1/4 teaspoon McCormickÂ® Ground Ginger and 1 cup sliced fresh mushrooms with the broccoli.